I very much enjoy reading Pencil Ponder blog by Martha. One of the things I especially like is how many of her posts have some personal family connection to the subject pencil at hand, and I have long envied that. I am currently in thirteenth birthday mode, surely an auspicious time for a personal connection post, so with that in mind, here’s my recently acquired Diplomat Aero mechanical pencil. Diplomat are a German (and French?) writing instrument manufacturer with a lineage going back to 1922. Their website says this about the Aero, “Smooth lines, a streamlined body. Feel the legacy of the Zeppelin and give height to your narratives.” Fair enough. 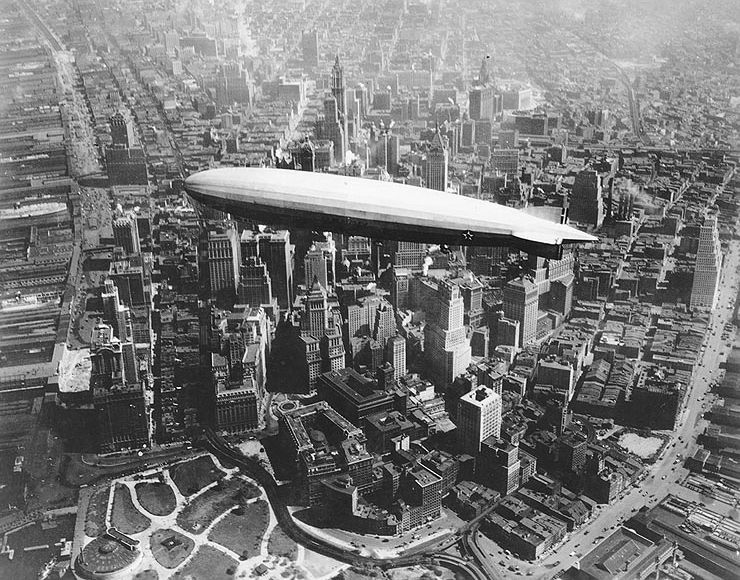 Now for those of you not familiar with Zeppelin, they are not referring to the Stairway to Heaven but rather to the lighter-than-air rigid airships of the early/mid 1900’s, the lumbering behemoths of the sky. The Zeppelin company of Germany were the most well-known of the manufacturers, and Zeppelin became a generic term for all airships, whether made by Zeppelin themselves or not. Right then, on with the review. Diplomat certainly do not skimp on the packaging. There is an outer cardboard box and an inner heavy card and metal presentation box. I say card and metal because the box is very heavy sturdy card but its covering sleeve is aluminium. The sleeve wraps around the box but does not have a fully enclosed base. Very nice indeed, but a little fiddly to operate. Inside the presentation box itself there is a plush padded base to hold your writing instrument, and beneath that base is the usual storage compartment for the instruction booklets, etc. So, having got the Diplomat Aero mechanical pencil out of its hanger box, it certainly is a behemoth - 141mm long, 15mm diameter at the centre and weighing in at 44 grams. Whilst it is a bit of a monster, the semi-round tapering grooves and body shape definitely give it a smooth aerodynamic look, so it is an agile monster. As you can see, I ordered my Aero in the orange colour, another pencil in the sort of orange that gets Dutch hearts a-pounding and temperatures rising. Perhaps I’ve got a subconscious orange thing going on at the moment. In the hand the Aero feels like it looks – big, heavy and substantial. There is no specific grip zone or enhancements although the grooves in the body do aid grip and make holding the Aero a very tactile experience. The lead sleeve on the Aero mechanical pencil is a small cone and it is not retractable so this is a pencil for writing. Obviously this pencil suits those who like a wide grip, as the likely grip area is in the 10 – 12mm diameter sort of range. I think given its size, the weight and slightly top-heavy balance of the Aero are about right. Any lesser weight could run the risk of feeling a bit incongruous. On the other hand, the weight, size and bare grip could become a bit fatiguing if used for a long period. The pocket clip is a rather classy two piece construction, as pictured below. It is long and substantial looking, and quite firm, possibly a bit too firm for regular clipping to papers, but you certainly won’t lose it if clipped to a shirt or jacket pocket. The conical lead sleeve isn’t too likely to cause a problem in such a pocket. The Aero mechanical pencil is a twist action ratchet mechanism. You twist the top half of the pencil body about a quarter turn clockwise to activate the lead advance mechanism, and then it springs back. Ten activations will get you 9mm of 0.7mm lead, which is the only lead size currently offered in the Aero. Advancing the lead can be done single-handed but is basically a two handed operation. Either way it will interrupt your writing more than a push top mechanism. To refill the lead you twist the top half of the body anti-clockwise and unscrew it, then pull the end cap off to access the lead magazine. There is also a small eraser, which you find by pulling the top half of the body off. So that’s twist left, twist right and pull. Every direction does something. The markings on the pencil are plain, simple and obvious. I like them. My only comment would be that it would be good to have the model name Aero in there too. • Best Points – Aesthetic appeal. Many writing instruments claim to be inspired by something. I think this one does justice to its claim. • Not So Good Points – Size will not suit everyone. Not much else really considering what type of mechanical pencil it is. • Price Range – High, but not stratospheric. • Does this pencil make it into the Top 5? – Part of me said Yes, and part of me said No. It was a hard decision, but when I went and re-read my rules and discussion about ‘My Top 5’ the answer became clear. No. Dimensions – Length 141mm, diameter 15 at widest point. Balance point about 80mm up from the tip. At the beginning of this post I mentioned a sentimental aspect to this pencil, which is my grandmother. As a working class, thirteen year old girl in London during World War 1, there was no time for luxuries like school, so during the day my grandmother kept house for her widowed father and brothers, and at night she went to work in a munitions factory, making bullets and "little bombs the soldiers threw by hand". Many, many, decades later, and having emigrated to the other side of the world, she still vividly remembered the Zeppelins over London, her fear of being bombed in the factory, and that night in 1916 when the first Zeppelin was shot down. Like thousands of others she ran into the street, cheering as the flaming Zeppelin lit up the sky and drifted, gloriously, oh so slowly to the ground. She later much regretted her joy at the death of its crew. Diplomat Aero, the instant I took it out of the box, I really did feel the legacy of the Zeppelin. Thanks for the trip down Memory Lane. I thought Diplomat still belongs to Helit, a company I mentioned on my blog in the past, but your post made me realise that Diplomat changed owners again, but stayed French this time. A shame the Aero is only available in 0.7mm. That is a beautiful pencil, and if it came in a smaller lead size, I'd be sorely tempted. Matthias is right about the orange, too, and I wholeheartedly approve. Orange is a lovely color, and oft under-represented. I like it! Thanks for exposing this mechanical pencil, Dave. The Zeppelin design connection certainly looks spot on. About the twist for lead advance, I have some vintage PILOT pencils that require this. At first, I thought it to be a nuisance. But, all you have to do is use your opposite hand to do the twisting. Not that hard, really.